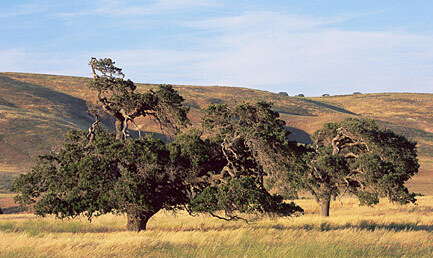 The oak savannah is a hallmark of Tejon. 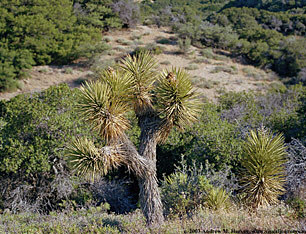 In the heart of natural California is a crossroads where valleys, mountains and deserts meet. Here lies Tejon Ranch, California’s quintessential natural landscape. Home of the California Condor, Tejon Ranch encompasses more than 270,750 acres between Los Angeles and Bakersfield near the Grapevine on Interstate 5. Here, someday, you could explore a new national or state park, enjoying the oak-dappled foothills of the southern Sierra Nevada, the fir-topped peaks of the Tehachapi Mountains, and the poppy-covered desert slopes of Antelope Valley—but we need your help. down the Tehachapi’s crooked spine (left). 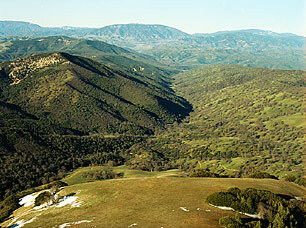 Tejon Ranch straddles the Tehachapi Range of the southern Sierra Mountains. These steep cliffs and mountains rise high above the cities and communities of Bakersfield, Palmdale/Lancaster, Arvin, Gorman, Lebec, and Frazier Park. Drivers on Interstate 5 today enjoy views of oak-dappled grasslands and chaparral along the western edge of Tejon. Wildflowers paint the hills in spring. Snow dusts pines in winter. Today, these views are unspoiled by civilization. Preserving Tejon Ranch as a new national or state park would protect a bounty of native plant and animal communities, cultural and historic features, and scenic vistas. Tejon offers outstanding biological and natural values, as well as wide open spaces that satisfy our desire—and need—to roam in nature, to refresh our spirits, and to recreate outdoors. If we can persuade our government leaders to act, visitors to Tejon could appreciate unspoiled wilderness, hike or ride scenic trails, picnic in the shade of ancient oaks, gaze on soaring California Condors, and step back in time to experience historic and cultural California landscapes. 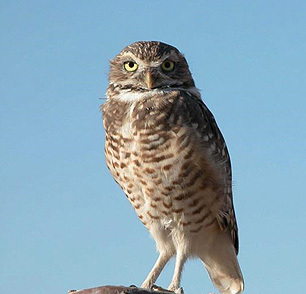 these darling owls nest on Tejon. 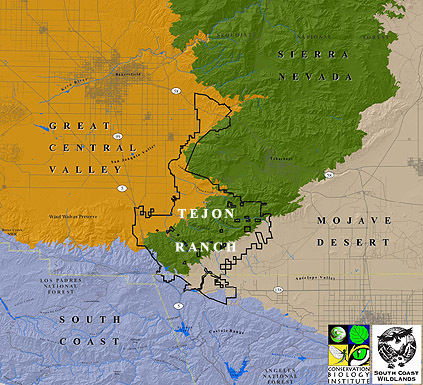 Copyright © 2003 Save Tejon Ranch..